With such a new operating system as Windows 8 (or consumer preview), you would think it could handle all games pretty well. Unfortunately, it doesn't. It works great on Windows XP, Windows Vista, and Windows 7 though. 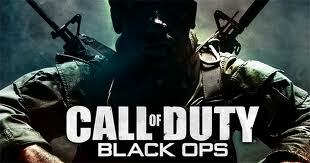 CoD: Black Ops 2 is a perfect example. The game may crash with an error dump, fail to launch, freeze, show a black screen, or simply not run after launching the game EXE (or through Steam / Origin). There are some ways to fix it so that the game WILL run. 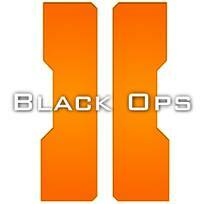 So if you want to play Call of Duty: Black Ops II on Windows 8, you're in luck! Okay. It's not too difficult to get this game to run at the moment, though the success rate depends entirely on your setup. A patch or update will be available soon to solve this officially, but you must wait until then. Many have no problems running the game, but end up encountering errors after Windows Update...so be careful! I'd recommend updating anyway, as you may have already been affected by the update error and a solution is around the corner. Yes. 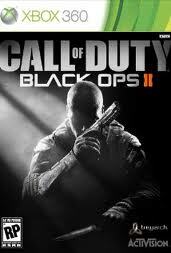 While Call of Duty: Black Ops II is the newest version of the CoD series, many people are still playing the original or have recently bought it. Most of the bugs have been worked out via patches / updates and so forth for this excellent First Person Shooter (FPS), but not these game fixes do not necessarily work for everyone. Note that the solutions provided for troubleshooting are able to help both users with normal copies of the game, as well as Steam / Origin copies. It happens a lot when using a high DPI gaming mouse. 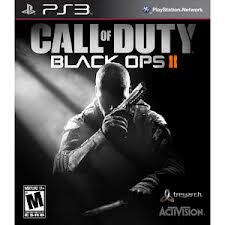 And in the case of Call of Duty: Black Ops II, it exists too. Because you can't modify the config files. CoD Black Ops 2 comes with an encrypted configuration file. The mouse does not move well. It could be because of mouse acceleration or input lag. You can solve it using the following tweaks in this guide. If you have two Video Cards, (such as integrated and dedicated video cards) then make sure the correct one is being used to reduce lag. CoD: Black Ops 2 runs well on most machines. It doesn't require the newest, most powerful hardware and even an older graphics card / video card or CPU processor can handle it. It works well on all Windows OS's -- Windows XP, Windows Vista, Windows 7, and Windows 8 and even if you are using Steam. So if your game is stuttering, frames are skipping, or you just have a low frame per second (FPS) rate, then it may not be your computer's fault. So for single player and multiplayer users -- this will help. It will also help if when you are aiming down the sight of a gun and experience a drop in frame rate or even have some mouse input lag. Many laptops and notebooks that are out there have two graphics card -- an integrated graphics card AND a dedicated graphics card -- that it switches between for conserving battery power. You can use the AMD ATI Catalyst Control Center or the NVIDIA Control Panel to solve the problem. Ensure that the dedicated card is being used instead of the integrated card. Check the "Global Settings" area. Anyway, that's how you fix Call of Duty: Black Ops II lag! Tried playing multiplayer CoD: Black Ops 2, only to find out you can't connect? If it cannot sustain a connection. Boom! You can now connect to the CoD Black Ops II server for multiplayer and matchmaking. Hopefully that was able to help you fix your unable to connect Call of Duty: Black Ops II issue! It certainly was able to solve the problem for us! Works on Windows 8, Windows 7, Windows Vista, and even Windows XP. 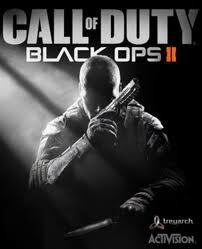 Just get CoD Black Ops 2 and encounter a black screen? Did you launch the game and it didn't open? Or maybe it just crashed with an error after you tried to play it -- such as at the intro / opening cinematic scene. No biggie. You should be able to fix it. Follow the below methods to troubleshoot it away. This works for people who get the DLC Packs (such as from the Season Pass) or gets the game from Steam or has the Black Ops 2 Collector's Editions, which are: Hardened Edition, Care Package, and the Digital Deluxe Edition. There are several tweaks you can perform to try to fix this problem. Hopefully some of these suggestions helped solve the problem for you!